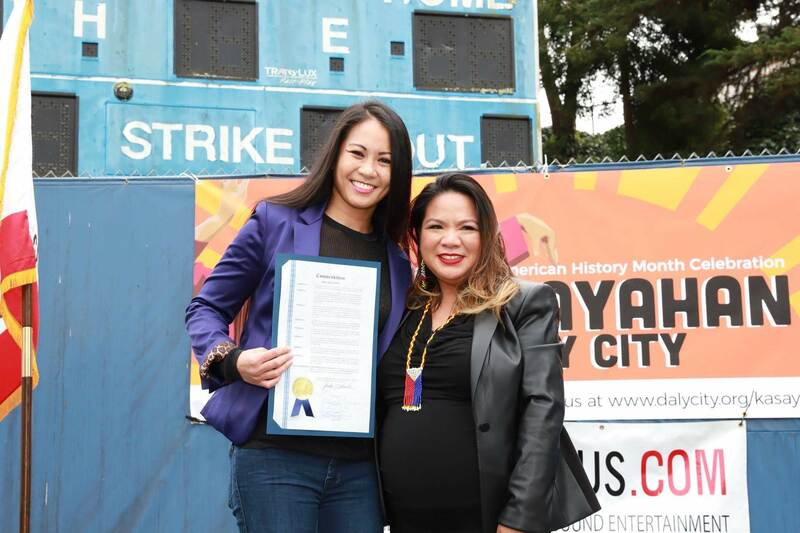 At the 2018 Kasayahan sa Daly City event, I received a Commendation Letter from the City of Daly City Mayor Juslyn Manalo. The icing on the cake was having the letter presented by the first Filipina Mayor, who coincidentally was my classmate from kindergarten to second grade at Bessie Carmichael in San Francisco! Who would have thought that our lives would cross again in this way. I’ve lived in Daly City during my middle school, high school, and early college years here. When I competed for my first two world boxing titles, I represented this city. It is truly an honor to be presented with such an award after retiring from a full-time fourteen year commitment of combat sports.